In fact, 22 of the most iconic Doctor Who episodes are referenced throughout the game! 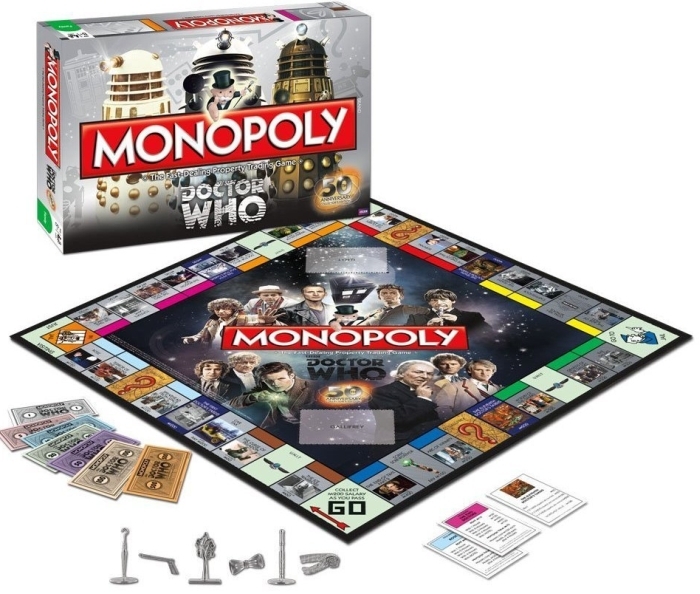 The Doctor Who Monopoly Board Game comes with 6 tokens themed to the BBC TV series: Umbrella, Sonic Screwdriver, Celery, Recorder, Bow Tie, and Scarf. 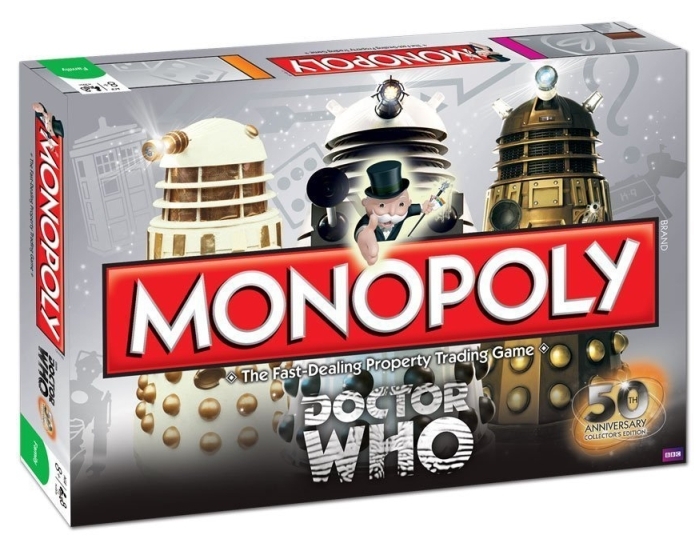 It even features a 60-minute speed-play option for antsy Whovians!